A Blues U17 XI beat Bury Town 3-0 in a friendly at the Denny Bros Stadium on Wednesday evening. Welsh first-year scholar Lewis Reed, the grandson of Town’s first ever full international Billy, netted twice after an own goal from a home player. The Bury team, which was a first-team XI, included striker Tommy Hughes, who is currently on loan with the Bostik League North Division side from Town, and ex-Blues academy frontman Cemal Ramadan, who recently returned to the West Suffolk club after a spell with Leiston. 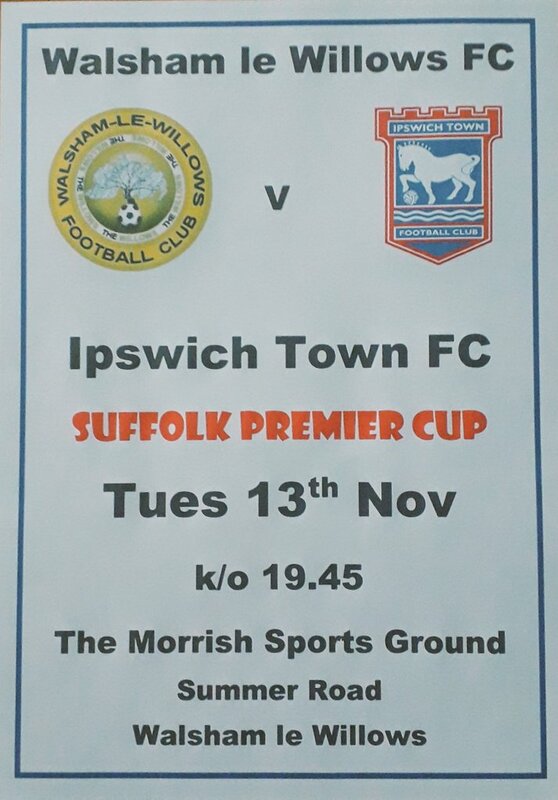 Meanwhile, next week’s Suffolk Premier Cup tie at Walsham-le-Willows has moved from the Wednesday to the Tuesday evening at Town’s request. The Blues field their U18s in the competition which they exited at the quarter-final stage last season when they were beaten 2-1 at Leiston in the final minute. U18s: Alley, Viral, Vega (Ronan 61), Scott (c) (Ruffles 61), Henderson, Fehrenbach, Nathanan (Foudil 67), Baker, Reed, Barley, Simpson. Unused: Egan, Clifford.